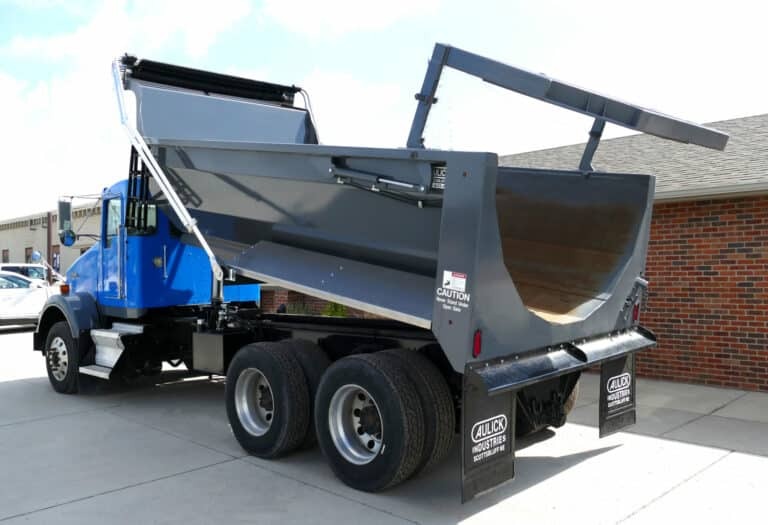 We design the Aulick Aulstruc line for the ever-growing need of Dump Boxes and Flatbeds across a vast range of industries. For instance, the most popular are Ag, freight, landscaping, municipalities, and construction supply businesses. Aulick Industries has been manufacturing Dump Boxes for over 35 years with some of our first built Ag Boxes are still being used today. Above all, we build our Truck Bodies to withstand the largest of debris without sustaining damage! 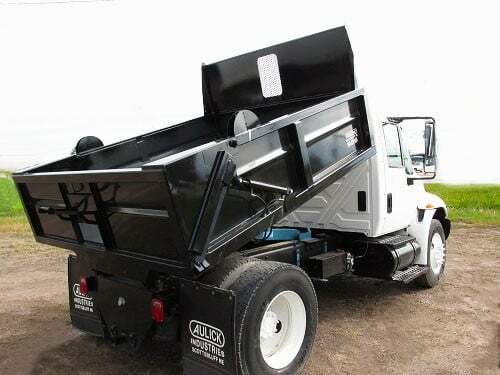 As a result, our Aulick Dump Boxes are ideal for spread work and hauling everything from sand to large debris. 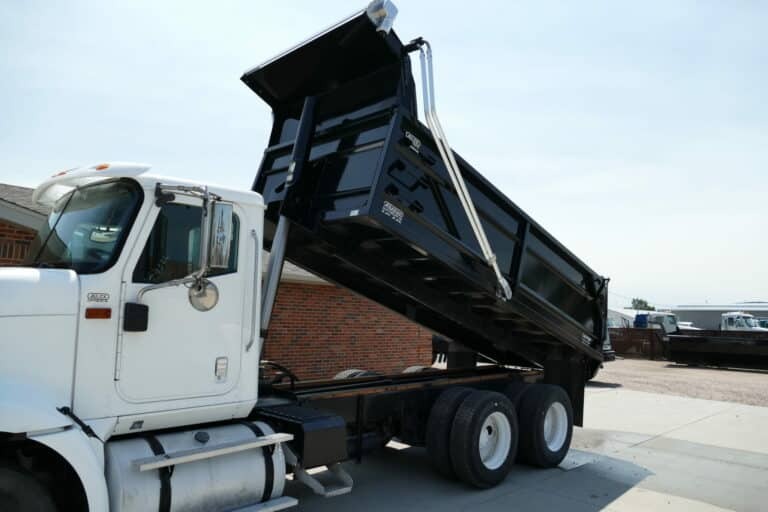 In addition, many options are available and we can customize any of our Dump Boxes to meet your needs. We also provide nationwide delivery. The Aulick Agri Dump Box open top enhances the loading and unloading of any bulk product. The "Aulick Rib" on our Dump Box adds a tremendous amount of strength and durability. The Construction Box was built with Half round hull to withstand the largest of debris without sustaining large damage such as a flat floor would. The Asphalt Box is ideal for spread work and hauling everything from sand to small debris. The Landscape Box was designed for smaller load capacity ideal for single axle trucks and ease of loading with smaller equipment. Popular among landscaping industry and municipalities. 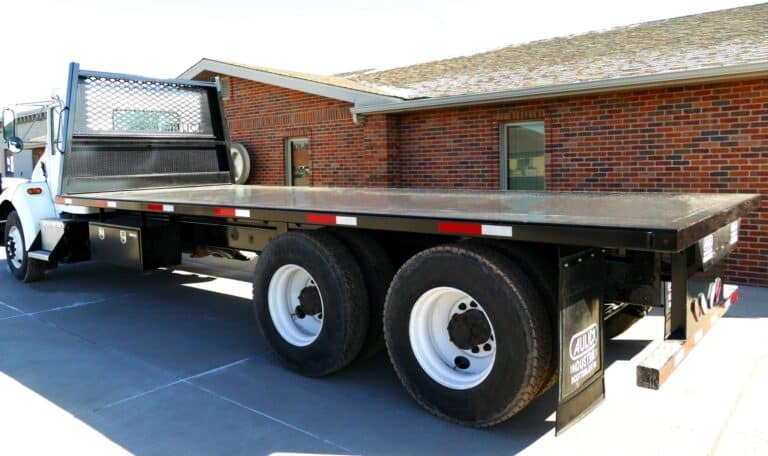 The Aulick Flatbed was designed for the ever-growing need of straight truck flatbeds. Built for HD use across a vast range of industries. Most popular among freight, landscaping, and construction supply industries.